People ask us all the time, “what makes your Oak Creek Monster Bucks grow so big”? They say, “You must be giving them growth hormones and steroids to get them to look like that”. In the blog below we are going to show you exactly what we feed in order for them to grow into Oak Creek Giants. One of the mature Oak Creek Monster Bucks from last season. 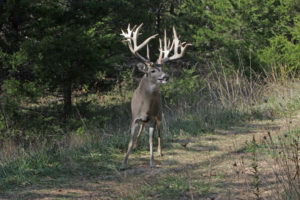 You always here the old saying, it takes three things to grow Oak Creek Monster Bucks, age, nutrition and genetics. Well I don’t think that will ever be bad advice, the question is how extensive do you want to go on those three? First of all it all stems around good management. 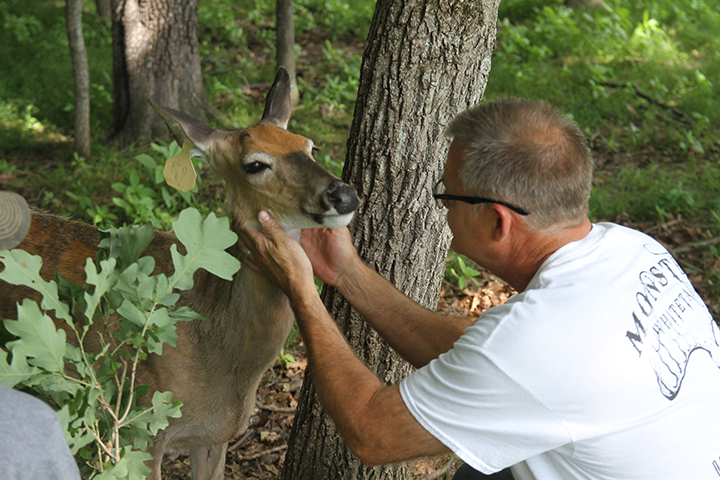 Our deer management techniques at Oak Creek are probably so advanced that they could not be accomplished most places, including here at Oak Creek if we were just starting them today. We started simple, just like most, but have advanced our culling criteria to animals that are trophy deer at most places. If a Oak Creek Monster Buck doesn’t reach a good wide open frame, with good beams and tine length, all the while, scoring in the 180” to 250” range by the time it is two years old, we want it off the ranch before it does any breeding (in essence, a cull buck or management buck). 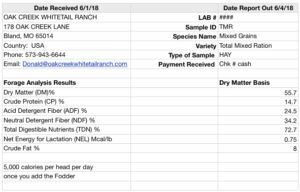 Call this genetic manipulation, call it good management, I don’t really care, but you have to be very strict with it, to grow Oak Creek Monster Bucks, and in most places this is not possible. Once we have achieved the culling process all we have left is older deer that we considered breeder material, we let these animals grow to maturity. Hopefully these more dominant bucks do most of the breeding......this accomplishes our Age and Genetics part of that equation. As for nutrition, there is a difference in good nutrition and great nutrition. The main difference is never allowing your deer to lack for anything. If you can give deer a good balanced diet to keep it fat and healthy you have accomplished most of that. We do that with several different steps, creating good browse throughout the hunting area, giving the whitetail a different variety of food plots throughout the year, our total mix ration (TMR) feed and our fodder (we will explain more about our fodder system in next weeks vlog and blog) The problem with deer nutrition is that you really can’t learn the perfect Oak Creek Monster Buck diet from a course you take in school, so over the past 26 years we have been experimenting, all the while working very closely with a chemist for all our vitamin/mineral needs and several nutritionists in order to compose as perfect a balanced diet as you can in our setting. There are other things that go into maintaining optimum health of your whitetail as well that we can not touch on in this short blog, such as predator control, parasites and low stress levels, whether that be availability of food and water or just overall good habitat. If you would like to watch a short video of Nick telling how they mix the feed and get it ready for the deer here at Oak Creek, click the link below. Next week, we will be talking about the final part of the Oak Creek Monster Buck feed system. It will take you on a tour of the fodder barn and give you a detailed look at how it all works.